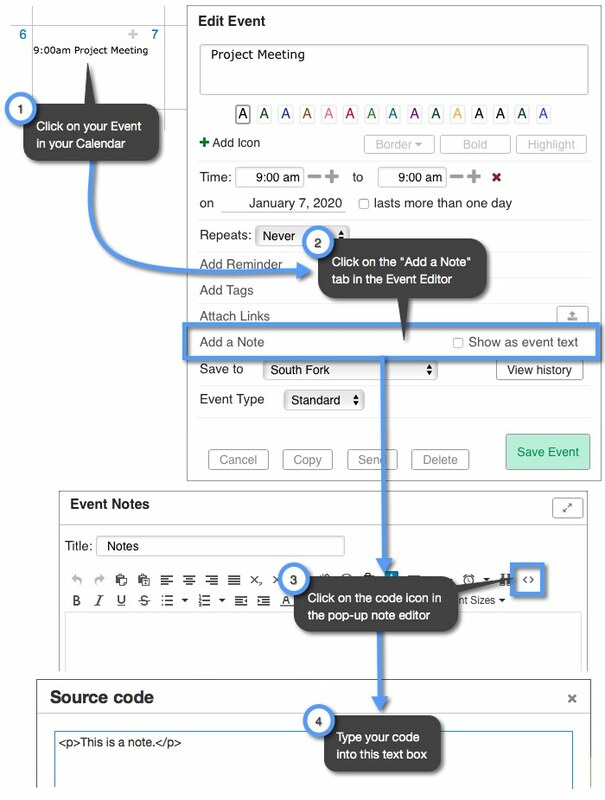 The only places that you can insert custom code is within your calendar are in “Day Notes” and “Event Notes.” As Keep&Share calendars already have a lot of information, we suggest keeping any custom formatting as simple as possible. 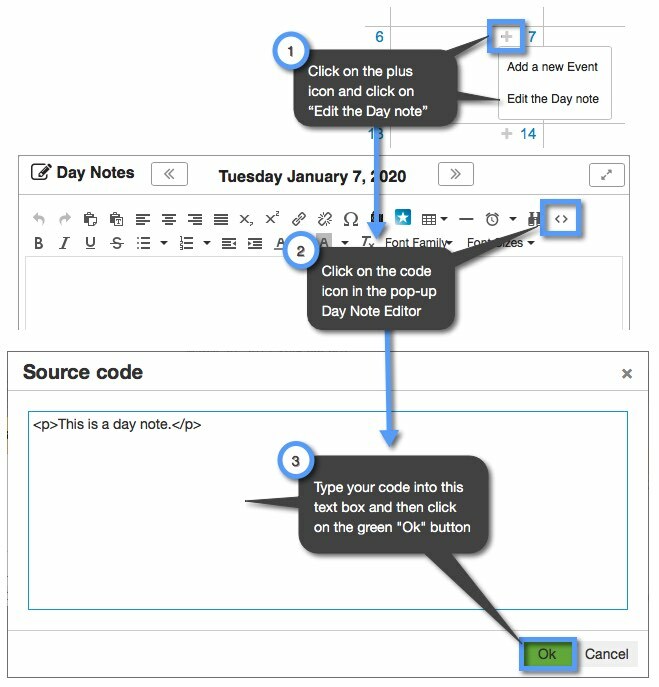 Keep in mind that any code formatting that you do for a single Day Note or Event Note will not be transferred to any additional notes that you create. If you want to keep the same formatting, you will need to copy your custom code and paste it into your new note. You also cannot format how the event text looks on your calendars using custom code.